Life is full of wonderful surprises. There are times when, unexpectedly, strangers come forward to help us. Senhor Alencar in Fortaleza, Brazil, was such a person. A few months following our arrival in Fortaleza, Andrew – a friend of my husband who had helped us to settle down in our new home – took us with him downtown to Sr. Alencar’s home-improvement supplies store. The store was well located at the corner of two busy streets. Andrew was one of Sr. Alencar’s regular clients. If I recall correctly, Andrew went there for paint. He introduced my husband and me to Sr. Alencar: a forty-something year-old man with a gentle face and kind eyes, calm manner, and soft-spoken. He and Andrew conversed in Portuguese, with Andrew interpreting for us. Andrew told Sr. Alencar that we had recently arrived in Fortaleza from Guyana and intended to offer private English classes. “If you wish, you can use my phone number for contact,” Sr. Alencar told us. His offer surprised me. He did not have to do that. But he did. 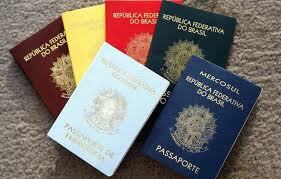 We consulted with a Brazilian lawyer to assist us in obtaining permanent resident status. After languishing in a state of limbo for two years, Sr. Alencar gave my husband a copy of an article published in a São Paulo newspaper. President José Sarney (1985-1990) had announced amnesty for all foreigners residing in the country in an “irregular situation.” Our Brazilian lawyer assured us that it was not a trick of the government and that we should present our documentation to the Federal Police, as instructed in the official announcement. Through his interest and thoughtfulness for me and my family, Sr. Alencar changed the course of our lives in Brazil. A small thought, a small act can go such a long way. What moves people to treat strangers with kindness? Only God knows what lies deep within our hearts. We are capable of reaching out to others with no expectation of something in return. In Brazil, I learned to accept the goodwill of others with joy and appreciation. A few years before my sons and I left Brazil, I had the opportunity to visit Sr. Alencar at his store. Following years of one economic crisis after another, his store was a third of its former size. This time, I did not need someone to act as interpreter. I was fluent in Portuguese.